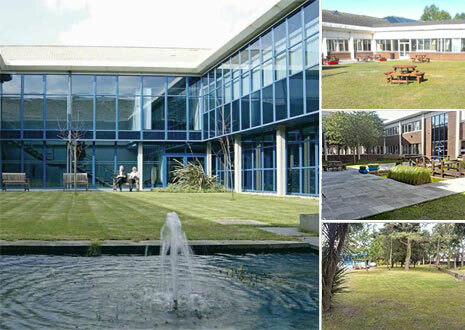 Located in Bournemouth, Canford House is a fully managed office space, leased by the Dorset Clinical Commissioning Group (CCG). 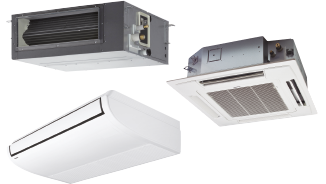 The building owners, St Modwens PLC (recently sold to Biz Space), were in desperate need of an updated air conditioning and heating solution that was cost effective. The building utilised an old chilled water system, operating on R22 refrigerent that was at the end of its life, paired with an old boiler, both working 16 hour days, in addition to the inconvenience of one of the two compressors failing on a regular basis and proving very costly. The building was in urgent need of a long term solution. 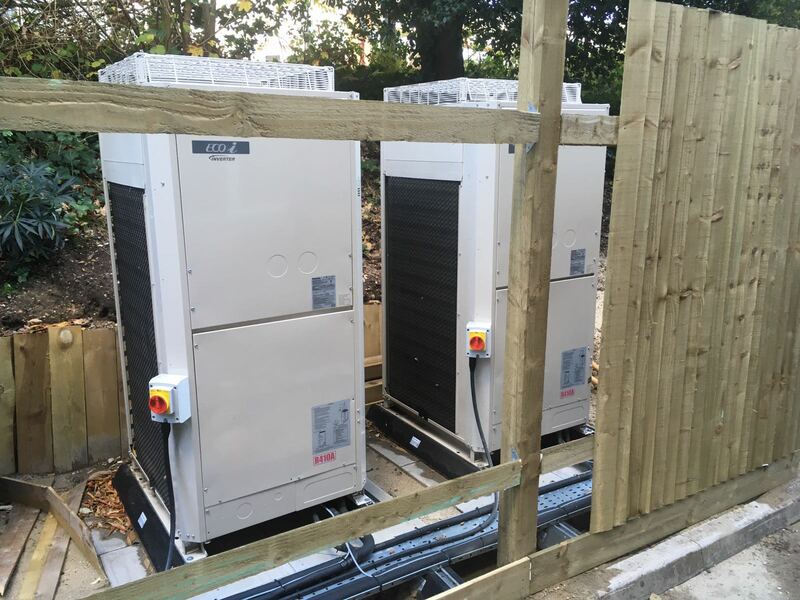 To fullfill Canford House requirements, a Panasonic VRF 2-Pipe Mini ECOi 6 series in addition to a Panasonic Aquarea-Pro 50 kW was installed by Woodhouse Environmental Services to provide precise temperature control, low energy consumption and the inverter range for greater overall efficiency. 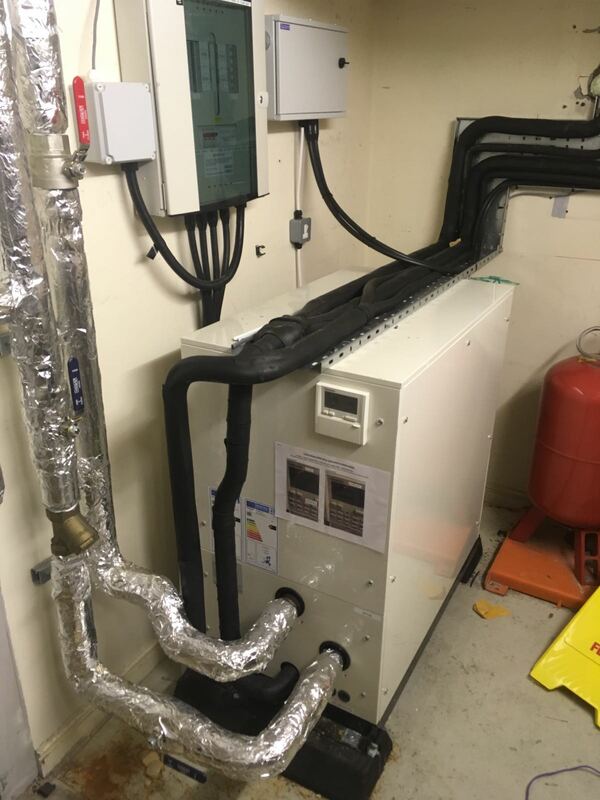 The Panasonic Aquarea-Pro 50 kW was installed to work with extreme temperatures and provide a clean, safe, economical and environmentally friendly solution. 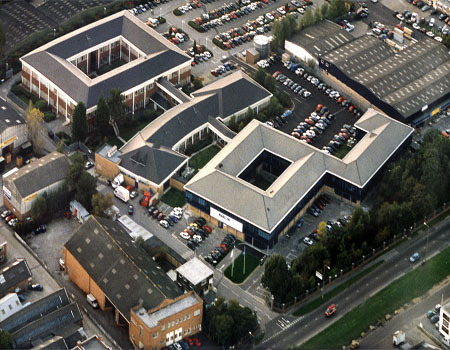 The NHS CCG is one of four organisations occupying the building, which at the time was owned by St Modwens PLC who contacted installer, Woodhouse Environmental Services Ltd, who had previously installed 12 Panasonic VRF systems onsite, to other parts of the building, five years previously. 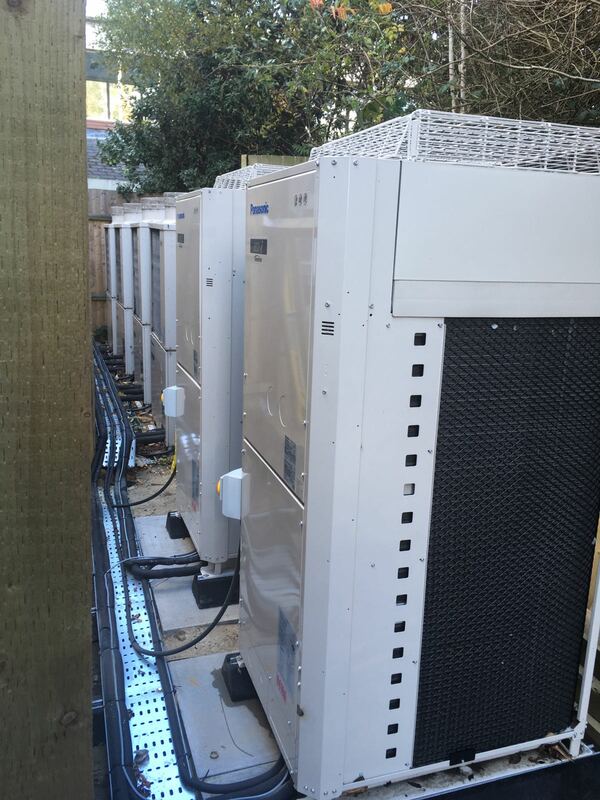 St Modwens were more than happy with the energy effiency and cost savings that these now provided and wanted an integrated system to help reduce the cost of servicing and maintenance. Given the many challenges outlined above, as well as 75% of the building having been previously redeveloped in 2011, this effectively leaving a 200 kW chiller servicing 40 kW of cooling. 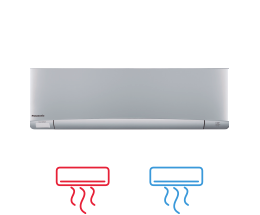 The original heating system was also from an existing inefficient boiler connected to perimeter radiators. It was decided to avoid simultaneous use of the system for heating and coooling as previously this had caused large energy inefficiencies. 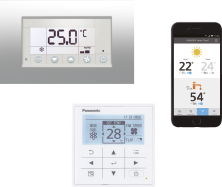 The solution needed to allow heating and cooling as and when required, but not opearable at the same time. 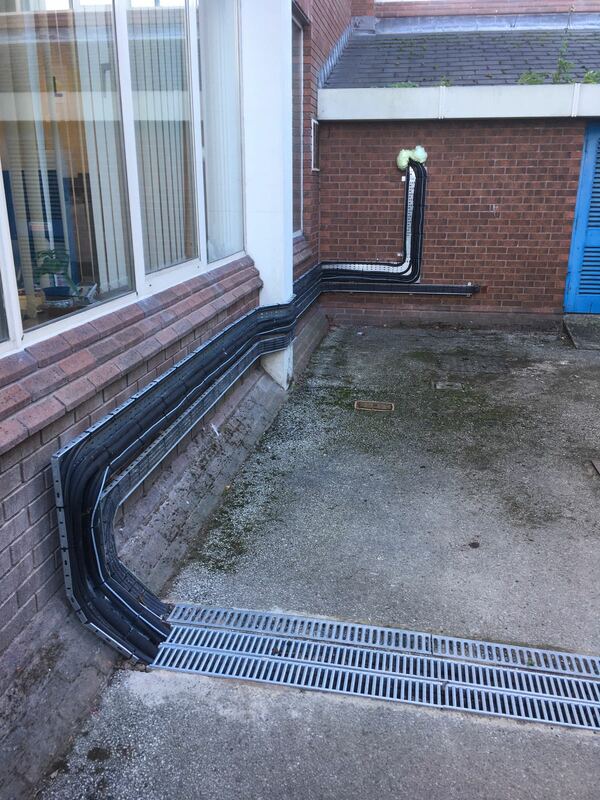 The new solution included a Panasonic Aquarea-Pro 50kW and a Panasonic VRF 2-pipe ECOi system which provided the building with very high SEER and SCOP figures to minimise the energy bills for Canford House with the help of Panasonic distributor ESS. 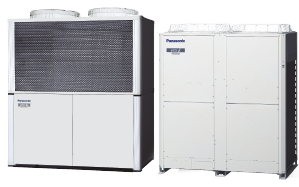 The Panasonic VRF 2-Pipe Mini ECOi 6 series is an outdoor unit specifically designed for demanding applications. 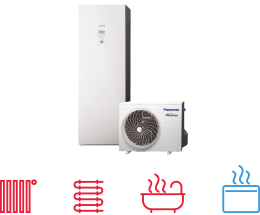 This unit also utilises R401A and DC inverter technology.